‘Love It Forward’ is the name of a new benevolent organization and Movement– based on spreading acts of kindness, goodness, and compassion throughout the human community. And, the first Love-In-Action Cause is focused here in Buffalo. Author Jeff Brown planted the first seeds of the idea in 2008, when he wrote his book Soulshaping: A Journey of Self-Creation. Rather than pursuing traditional publishing methods, Jeff opted to self-publish, and have his book sold on the streets by a homeless man named Slim. Slim sold an abundance of books– and was empowered by the experience. Consumers were equally empowered in acquiring a meaningful product– while at the same time, supporting a fellow neighbor in entering back into society. This gave Jeff the idea to create a sweeping movement- where everyone could benefit. After years of being in seedling form, the movement is now starting to lift-off…. with big plans of growing and spreading. Part of the movement is a distribution system that shares inspiring ‘love it forward’ products, sold through the homeless and economically challenged. Jeff shares, “We bring the spirit of benevolence into grounded action by supporting real people in their efforts to improve their life conditions and re-join the human family. We do this by handing them the sales tools they need to re-engage and by funneling profits from Love It Forward into particular Love-In-Action causes– so everyone benefits.” Jeff also refers to this new paradigm as ‘conscious capitalism’ or ‘Wintentionality.’ Everyone wins. The other branch of Love It Forward is to focus on regular Love-In-Action Causes. The organization will strive to uplift the lives of individuals who have faced challenging circumstances– empowering them to rise above; and then pass it on, or ‘love it forward,’ to others. Creating a ripple effect. The money for these causes is again raised through selling inspirational Love It Forward products, such as Author Jeff Brown’s books. The first Love-In-Action Cause is centered here in Buffalo. The cause ‘Giving Youth a Boost’ sponsors two inner city youth –David Ruffin and Marion McCarthy–who have faced very challenging life-circumstances, but are musically talented and sincere about rising above, and moving forward. These two young people are already committed to taking what little they have and ‘loving it forward’ to other youth-in-need. 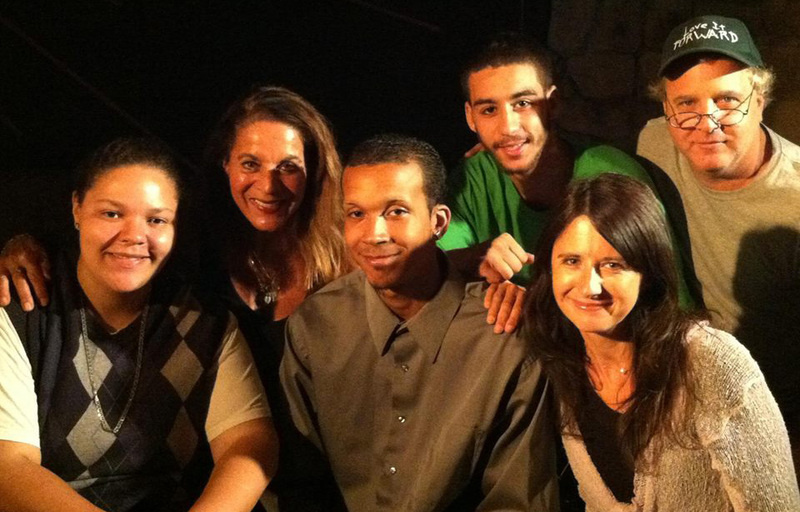 On a daily basis, David and Marion act as musical mentors to youth in their neighborhood. The organization Love It Forward is assisting David and Marion in creating a safe space for other young people to come to– to get off the streets, and share song together, play instruments, rap, write and record music, and find their voice. You can read more about the Love-In-Action Cause here. This Cause has even garnered the endorsement of Joseph Wooten, ‘Hands of Soul,’ 3-time Grammy nominee, and Keyboardist of the Steve Miller Band. He will be sharing his passion and remarkable musical talent at the opening event on Saturday. Joseph Wooten is passionate about this cause—he comes to Buffalo regularly to inspire youth through the Artist In Residency program with musician and educator Linda Appleby. Wooten also has started his own inspiring Movement and website. The movement was birthed from a song Joseph wrote called ‘I Matter,’ which speaks to the inherent value and worth of each human being, no matter what disadvantaged circumstances we may come from, or hardships we may face. 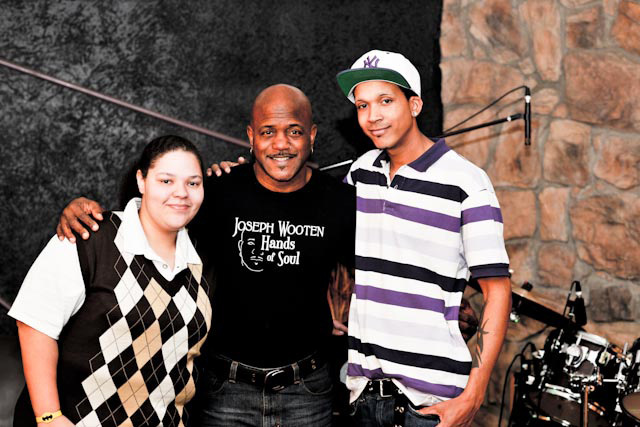 Recently David and Marion went into a Buffalo studio to record the song ‘I Matter,’ under Joseph’s mentorship. It was a moving experience for the youth to be in a studio, singing lyrics that hit home, while working with a high caliber musical talent. The CD of the single ‘I MATTER’ will be available at the event on Saturday. The organization launches with a public event Saturday, November 23, 7pm, at St John’s Grace Episcopal Church – 51 Colonial Circle, (near Bidwell & Lafayette). “An Evening of Music and Inspiration” -featuring the remarkable talent of Joseph Wooten, ‘Hands of Soul.’ The event will also feature the youth who are being sponsored- sharing their talent and gift of music. Local tenor vocalist Cory James Gallagher will perform. Community Activist Sergio Rodriguez will offer some inspiring words. Author Jeff Brown, Founder of Movement, will speak and share excerpts from his upcoming book Love It Forward, while signing copies of his previous book. The event is by donation, and proceeds raised will go towards creating a safe space for youth to share and record music, support one another, and express themselves positively. This will be an uplifting evening, and a powerful start to a Movement you will surely be seeing more of in the Buffalo area.